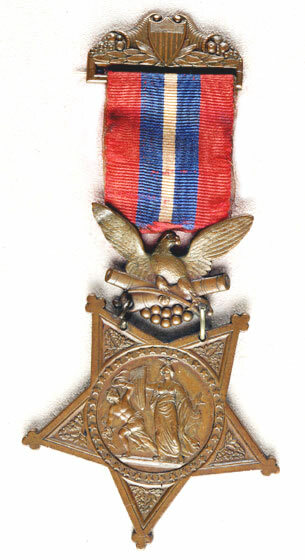 Date Medal Issued: 10 September 1897. Date of Action: 17 September 1862. Place of Action: Antietam, Md. While in command of a detached company, seeing his regiment thrown into confusion by a charge of the enemy, without orders made a countercharge upon the attacking column and checked the assault. Penetrated within the enemy's lines at night and obtained valuable information. The medal citation had erroneously listed his place of birth as Troy, NY - probably his earliest residence in the US on immigration in about 1845.